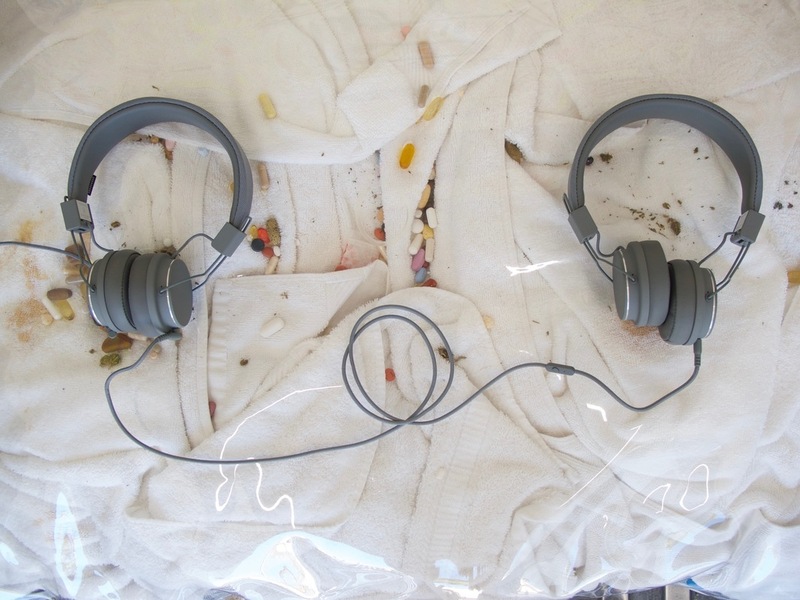 Amanda Vincelli, REGIMEN, 2015–17, medications, towels, vinyl, pleather, headphones, sound, dimensions variable. Los Angeles is one big pop-up. There’s Kim K. West’s beauty shop at Westfield Century City, Dean Baldwin’s restaurant One Top, and even a gallery or two—one of which, Gas, is housed in a truck. The space’s current exhibition examines another Angeleno preoccupation, self-care, by calling on nine artists to reassess a claim once made by Audre Lorde. Is self-care a radical, political act? Though it may provide short-term relief, self-care is not a catch-all solution. Maybe we need non-quantifiable alternatives to the data-driven Fitbits and health apps that appear to offer immediate improvements; perhaps healing soundscapes like C. Lavender’s Sagittal Plane Interference, 2018, afford greater solace. Take a deep breath and— Oh heal me pls! cries Hayley Barker’s drawing, in a spectrum of pinks and yellows. It’s a hypochondriac’s plea to which the disparate works respond with an equally untenable suggestion: Better to log off, lie low, and steer clear of public panic. The collective ailment, so it seems, is the relentless allure of short-lived trends.